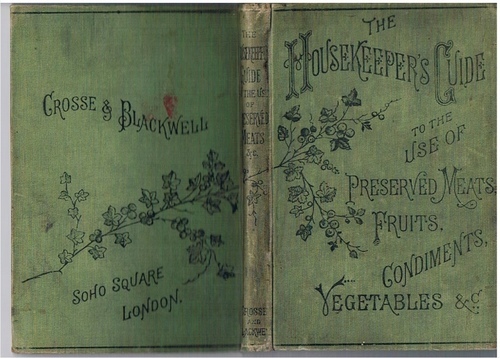 The Housekeeper's Guide to the Use of Preserved Meats, Fruits, Condiments, Vegetables etc.. 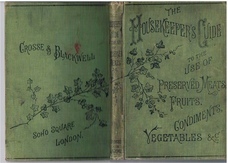 Original green cloth, lettered and decorated in black. Cloth rubbed and marked, a little bumped at spine ends, a little sprung, one gathering loose but present. xii+163pp.. Not dated (see COPAC), no author given. ; Arthur Gay Payne, who also wrote under the pseudonym Phillis Browne was an English sports editor and writer on cookery.(Wiki). Author of "Choice Dishes at Small Cost". Published by well-known canned and bottled food company.